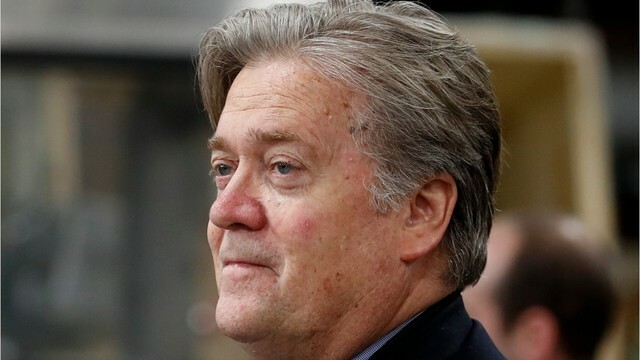 President Donald Trump has decided Steve Bannon will be out as White House chief strategist, multiple outlets reported. The decision on the controversial Bannon comes after Trump drew ire for comments following a white supremacist rally in Charlottesville, Virginia. Bannon was the former publisher of Breitbart News and once said the publication was the platform for the "alt-right." The Associated Press recently issued guidance that the term "alt-right" should be avoided because it is meant as a euphemism to disguise racist aims. The now former White House chief strategist recently conducted a controversial interview with Robert Kuttner that was published in the American Prospect magazine . Bannon is the latest person to leave the White House after a shakeup that has seen Reince Priebus, Anthony Scaramucci and Sean Spicer all leave their respective positions. Scaramucci, who lasted just 10 days as the White House communcations director, told the New York Pos t that he believed Bannon and Priebus, then the Chief of Staff, were responsible for 60 percent of the leaks coming out of the White House — a sore spot for the Trump administration. The White House released a statement to reporters. "White House Chief of Staff John Kelly and Steve Bannon have mutually agreed today would be Steve's last day. We are grateful for his service and wish him the best."